Varsha Tiwary is a bureaucrat by profession and calls herself a ‘desk jockey’, though she is far from being just that. Her blog Wholesome Options offers much food for thought on matters relating to nutrition and fitness. She has a chatty way of writing that makes even a dry topic interesting and worth paying attention to. 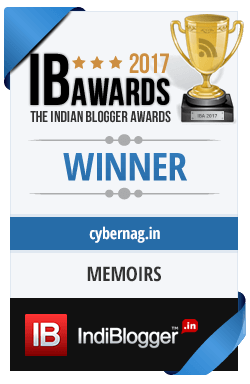 She also gives expression to her creativity through Poetic Break and Khayalat her other blogs where she writes verses both in Hindi and English. I was travelling when she sent me a mail attaching her tribute to the mellifluous Jagjit Singh, who has been my favourite singer over the years too. A gentle genius, his voice has retained the same silken charm over the years till he left us mourning his loss earlier this week. Understandably, I jumped with alacrity at her contribution as I wanted to post a tribute to this great singer. This guest post by Varsha is a fan’s tribute to her idol. Read on…. Back in 1980, I got my first tape recorder – a 2-in-1, as a gift from my father. Two blank Sony cassettes came free with it. On one I recorded our voices and the voices of all the bacchas of the family and the neighbourhood. Believe me , that was an amazingly fun pastime for our generation. On the other cassette, I recorded Jagjit and Chitra’s The Unforgettable, a runaway hit of that time. I did not understand all the Urdu lyrics. But his voice transcended the necessity of a mere understanding of words. Even as a frisky teenager I could appreciate the soothing silences and the meaningful pauses enlivened by his silken voice. Then came the serial Mirza Ghalib on Doordarshan. I had no inkling about Ghalib or his poetry but Gulzar recreated Ghalib’s life and brought him into our drawing rooms. But he could have scarcely done it without Jagjit’s mellifluous voice rendering all those ghazals — one immortal giving voice to another immortal’s verses. I could appreciate Bazzecha-e –atfaal before I could understand it. Ghalib’s life was about making Urdu poetry a popular idiom; taking it out of palaces and courts to the lanes and streets. Jagjit’s life story is about making Urdu poetry a listening pleasure for the masses. He could lend gravity to nostalgia (kaagaz ki kashti) and love (jhuki –jhuki see nazar). He taught me that life is all about nuances (Tum itna jo muskara rahe ho), that love is reaching home (tumko dekha to yeh khayal aaya) and that there is dignity in despair (chitthi na koi sandesh). His bhajans are imbued with spirituality for the same reason. Even an agnostic can listen to Hey Ram or Kabir and feel the calmness and peace flooding them. His voice is able to reach places in our hearts that even we are not aware of. That is why he always stood above and apart from all the raucous cacophony and sometimes even the melodious pleasantness that is popular music. He had his roots in the classical tradition, his heart in Urdu literature and a deep spiritual instinct. His spirit soared high to bring together all these for the listening pleasure of the man on the street – from an auto driver to youngsters to aficionados. We could never have enough of Jagjit. His going is the going away of all those magical silences that made music go beyond words, beyond language and beyond meaning. Jagjit! We will never stop sighing. I started loving ghazals after I heard Jagjit Singh in a live show, and never stopped after that. He was invited for our college spring festival. I sat through the performance mesmerized. Since then, I’ve listened to each of his albums, searched urdu/punjabi dictionaries to understand the lyrics, watched his shows when possible, and at one time maintained a web site with my favorite snippets of his albums. His voice has the sincerity of feelings that only the best have. I could feel it in some of the duets he’s sung (with due respect to the other singers). And I love his live performances, the harkats, the way he engages with the audience… And the prominent guitar in his music… my favorite instrument. RIP Jagjit Singh Ji. He’ll always live through his voice. His classic: “Honton Se Chhoo Lo Tum. Mera Geet Amar Kar Do”. Wow, you even had a website dedicated to Jagjit Singh? Only some voices have a natural depth and emotion and his was one of those. This post was Varsha’s but I couldn’t resist replying since you mentioned a website. Does it exist now? If it does, please give me the link to it. Though I am not so sophisticated as to understand or appreciate ghazals, I did like his more commercial ones..
Rahul ! his legacy will indeed live on but his absence will always rankle ..
Vikram you need not be all that – music has no language really ! A wonderful tribute – I could almost hear all the songs as I read thru – what an amazing voice and a versatile singer;) may he rest in peace – Was reading somewhere that God took Jagjit Singh and Steve Jobs because he wanted ghazals on his IPod – now cassette tapes were a diff generation altogether;) but more treasured at that time! Purba true singing was Ibaadat (prayer) for him and one loves him not just for the words but the feelings his voice stirs up! Rachna ! ghazals,bhajans ,paath he could put magic into everything! Sowmya !! what a wisecrack ! Please God we will give you a life time free supply of itunes of all the ghazals -Please send both of them back! Loved his ghazals, and he was such a good composer too. Jagjit made Ghalib’s poetry come alive. A classically trained voice who always stayed true to his art. I agree. Jagjit Singh’s voice gave more than mere life to the verses of some of the best known poets. His rendition has the power to put you in a trance and sink further into your consciousness. Thanks for sharing. Alka,Sharbori , one never thought that he would not be with us one day -so much was his voice a part of our lives! Umashankar,true, his genteel voice gave a mass following to ghazals. I heard the news in part disbelief and in sadness. among the Indian gazal singers, his was the voice that I liked the best. more so, because it was so sudden …. even knowing death is inevitable, it does make me sad. with you, sharing your sadness. There was something in his voice…velvety, nostalgic, soothing….I have grown up on his ghazals and it is a tragic loss. Great tribute. Arti yes he made Poetry popular by the magic of his voice. Mayank yes!! we did – we learnt all about elegant understatements of ardour from him !! A tribute straight from the heart. You tribute is shared by millions of my generations who grew up through the teenage years sighing and drowning sorrows in jagjit ghazals. His voice was truly golden, so soulful and soothing… the void his departure has created can never be filled… What a beautiful tribute to a wonderful person, Varsha. That was a short and sweet tribute to the master, Varsha. your post came when I was fretting about not being able to post anything on him and it was perfect. 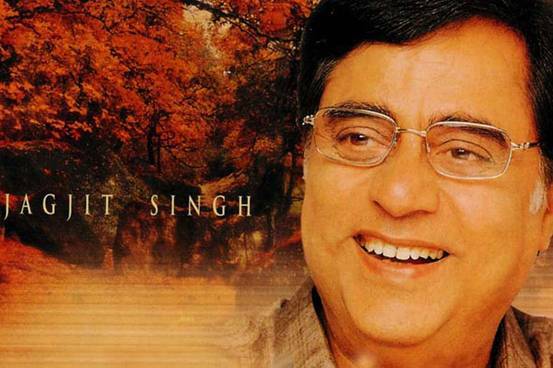 A voice full of emotions, depth and soul — that was Jagjit Singh. hey! thanks Zeph ! I absolutely love this new lay out of the blog. I forgot to tell you the reason I had JAGJIT on that one cassette.Sethi uncle who was our neighbour and lender of music said that if you can have only one cassette ,you must have this-rest all you can hear on the radio! Thanks for publishing this once again !